ValuePenguin.com researched 11 pet health insurance companies to find out how much the monthly premium would be for a sample dog as well as a sample cat. They used the online quote generator from each company. Their sample dog was a 4 year old, male Labrador retriever who was neutered and had no pre-existing conditions. They chose a sample plan with a $500 deductible, $5,000 annual maximum and an 80% rate for reimbursement. 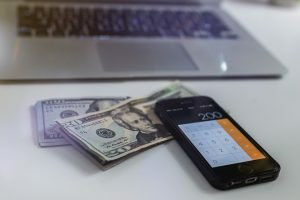 What they found was that there was an average monthly premium of $42.45 among the 11 companies, the lowest being $25.25 and the most expensive at $72.32. The companies that stood out to me were Figo, Nationwide, AKC/PetPartners, Healthy Paws and Trupanion because of the range of prices as well as different annual maximums and deductibles than what was plugged into the quote generators. Figo came up with an annual maximum of $10,000 (not $5,000) at a monthly premium of $31.13. Nationwide only had a $250 deductible and no annual maximum for a cost of $33.08 monthly. AKC/PetPartners had a per incident maximum of $3,000 at $35.00 per month. Healthy Paws had no annual maximum but was more expensive at $52.09 monthly. Lastly, Trupanion had no annual maximum and a 90% reimbursement rate for a monthly premium of $58.14. ValuePenguin.com’s sample cat was a four year old female with no pre-existing conditions. Again, the sample plan was for a $500 deductible, $5,000 annual maximum and 80% reimbursement rate. The results were that cats are less expensive to insure than dogs.The average monthly premium for cats was $20.99. The lowest monthly rate was $9.94 and the most expensive was $40.69. Figo, Nationwide, AKC/PetPartners, Healthy Paws and Trupanion were the companies that had, again, differing annual maximums and deductibles than what was put into the quote generators. The qualifiers were the same as what they offered for the sample dog’s policy, but their premiums were notably different. Figo cost $15.38 per month. Nationwide’s monthly premium was $17.03. AKC/PetPartners was $27.83. Healthy Paws cost $24.75 per month and Trupanion would cost the sample cat’s owner $28.14 every month. 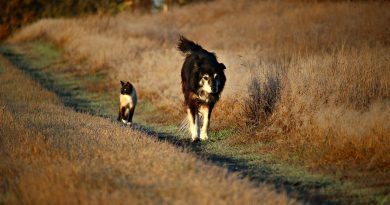 …if your primary concern is not to have to decide between dollars and a pet’s health, then you do need to make sure the policy you choose has a sufficiently large coverage cap so those decisions won’t ever happen. Based on the information above, if I was to insure our cat, Faith through Figo for the surgery she had when she was 9, I would have spent less on health insurance for her than I would have for her surgery and follow-up care, but only just less. I would have insured her from three years old when I adopted her until she was 9 and had cancer. At $15.38 per month for 6 years I would have spent $1,107.36 on premiums. Her cancer and follow-up care cost $3,200. Subtract a $500 deductible and the total claim for insurance is $2700. Figo would have paid for 80% of $2700 which is $2160. My out-of-pocket costs would have been 6 years of premiums plus deductible plus 20% of the vet bill after deductible. Even with Faith having had the misfortune of an extreme health condition, my savings would have been a whopping $12.64. For me, although I would have saved some money, it wouldn’t have been worth my time to bother with the paperwork to apply for pet health insurance. In my opinion, if you’re considering buying pet health insurance, it probably won’t make financial sense. Insurance companies run probability statistics on all of this, and they are in it for profit, so all things equal, buying insurance will always be at a financial disadvantage. However, all things are rarely equal. Life is just more unpredictable than that. If you want predictable costs over time and peace-of-mind if your pet has an accident or illness then, by all means, buy pet insurance. The financials are too variable to predict, so peace-of-mind is where insurance shines. Avoiding huge financial hits or having to decide between dollars and a pet’s health is what insurance can help you with. But if your primary concern is not to have to decide between dollars and a pet’s health, then you do need to make sure the policy you choose has a sufficiently large coverage cap so those decisions won’t ever happen. Should you decide the arguments for pet health insurance aren’t convincing for your situation, there are some alternative options. You could set up a savings account just for pet medical emergencies, sign up for discount plans for vet clinic visits and pet medications, or go to clinics that provide inexpensive or free services. Setting up a savings account for your pet’s medical emergencies is a good idea. But, what if your pet has a need for an expensive procedure and you’ve only been saving for a couple of months? Do you have enough to cover the cost or will you be spending a lot out-of-pocket anyway? There are veterinary discount plans which are free or require a small monthly fee to get a percentage off of your entire vet bill. There’s no waiting period, no exclusions, and all conditions are covered. The typical discount is 25% off of in-house medical procedures for your pet. Most medications and out-sourced services like blood-work labs are not covered. However, many discount plans give you an additional percentage off at pet pharmacies just for being a member. You would have to find out if your vet is included in the network of providers who accept the discount plan you have. Medications can be obtained more cheaply than going through your vet clinic. There are discount plans for these as well. Another option for routine, less expensive vet care for your pet is to visit low-cost spay, neuter, and vaccination clinics. The American Society for the Prevention of Cruelty to Animals (ASPCA) has a tool for you to find one near you. This eliminates some of the need for purchasing a Wellness plan rider if you choose to buy pet health insurance. For unexpected and more expensive veterinary procedures your pet may have to endure, you can look for organizations that help to offset the cost for you. 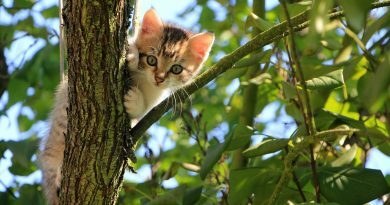 The Humane Society of the United States keeps a list of financial-aid related organizations that can help offset any of these surprise pet emergencies and expensive procedures. Working with your veterinarian on a payment plan may help with expensive pet illnesses or accidents. Spreading out the cost of the vet bill over time may help ease some of the financial burden. Lastly, check with veterinary schools near you. They tend to be cheaper than regular vet clinics and although vet students do the work, a veterinarian supervises all work. 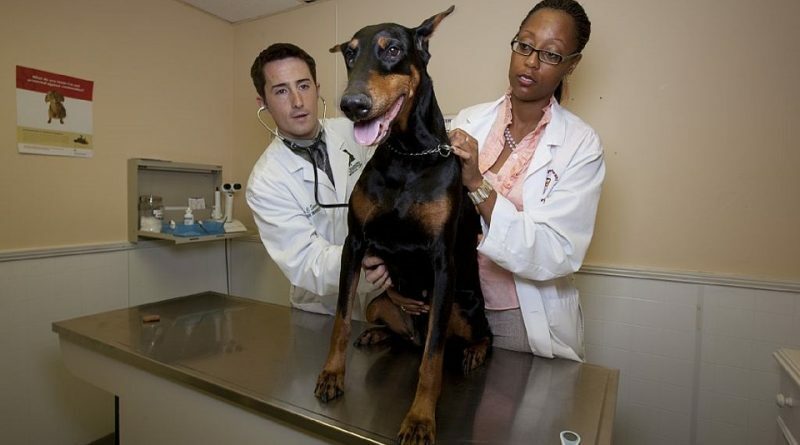 For a list of accredited vet schools, see the American Veterinary Medical Association’s site. Since many of you are full-time RVers or are looking to start full-timing, while others are only part-time, the medical needs of our pets as we travel can vary widely. So can our budgets. That makes a single, universal answer impossible. However, my conclusion is that if you feel you can afford pet insurance after researching the types of policies and companies that provide it, and you value peace-of-mind most, then you should purchase pet health insurance. With insurance, you will be much less likely to have to make a dollars-and-cents decision about your pet’s medical procedure. But also, with just a little more digging, you can find options that really can decrease the costs of your pet’s vet bills. So if the expense is your primary concern, then other options probably make more sense than pet health insurance. If you do choose to buy pet insurance, there is no clear-cut winner for which company to go with. The variables, such as breed, pet age, coverage caps, and breadth of services make it very hard to declare one right answer for all situations. Fortunately, they do make it relatively easy to get a quote for your specific situation, so comparing your particular situation should make the best choices fairly clear. I’ve provided a list of major insurers and their websites below to make that comparison easier. Thank you Jeannie, this is a very informative article.